Get free advice and estimates from tile, marble and granite contractors in your city. Tile is one of the oldest and more versatile floor and wall coverings around. You can find tile made of clay that has lasted hundreds of years and also new tiles being produced today. There are two different types of clay tile that most people use in their homes, ceramic and porcelain. Despite the fact that both are man-made and created from clay, they are very different materials in looks, durability, and how they are created. We outline the differences between the two below so that you can make a better decision about which to use in your next project. The easiest and fastest way to tell a ceramic tile from a porcelain tile is to take a look at its edge. A ceramic tile, whether for floor or wall use, has a glaze on top of the surface, giving it its color and finish. Porcelain tiles may be glazed but are frequently not. Even when glazed, the color of the clay body beneath the glaze will be similar in color, and the glaze applied only gives some additional detail to the surface. Ceramic tiles come in two varieties. Glossy wall tiles have a thin glass-like glaze on top. Textured floor tiles have a matte finish, which has a duller glaze and possibly a slight texture. Porcelain tiles may be matte, textured, or glossy in finish, but the biggest difference is that the color goes all the way through the tile. 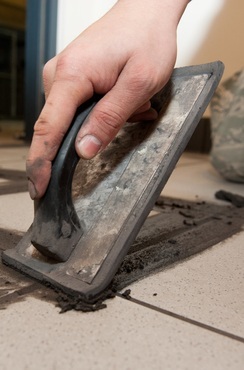 If you chip a ceramic tile, the glaze will come off, and the clay body will be exposed. If you chip a porcelain tile, no change in color occurs. Ceramic tiles come in far more colors and sizes than porcelain, ranging from ⅜-inch mosaic to 16-inch or larger tiles. Porcelain comes in mosaics but usually starts at 2 inches in size, skips up to 6 or 8 inches, then 12 inches. It may eventually reach square sizes of 36 or 48 inches. Contemporary porcelain tiles may have a wide range of styles, including those that are made to look like wood, fabric, glass, metal, and stone. Ceramic tiles may mimic the look of stone for some floor tiles but generally look like what they are, which is glazed clay tiles. Ceramic tiles come in two types, monocottura and bicottura. Monocottura means that wet clay is pressed or extruded into the shape of the tile, dried, glazed, and then fired once. Terracotta is an example of a monocottura tile. Bicottura means that wet clay is pressed or extruded into the shape of the tile, then fired until hard. The glaze is then applied before a second firing. A bicottura tile is much harder and more dense than a monocottura tile. 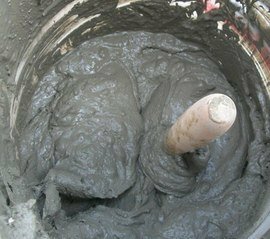 However, both forms start out as wet clay. Porcelain tile is made of clay dust not wet clay. The dust is dyed or pigmented into the desired color, then compacted under extreme pressure, which makes the tile much more dense and durable. The resulting tile is then fired to much higher temperatures than the ceramic tiles, resulting in a non-porous, highly durable tile that can withstand high-traffic areas. Porcelain tile, however, is considered impervious, meaning that it absorbs less than 0.5%. In normal, everyday use, most ceramic tile will not be affected by its absorption rating because it has a glaze covering its clay body. However, if you use ceramic tile in a steam shower, or if you purchase tile with a crackled or crazed finish, it is best to purchase vitreous tile to prevent staining. Porcelain tile can be used anywhere due to its low absorption rate. Ceramic and porcelain tiles are installed similarly. 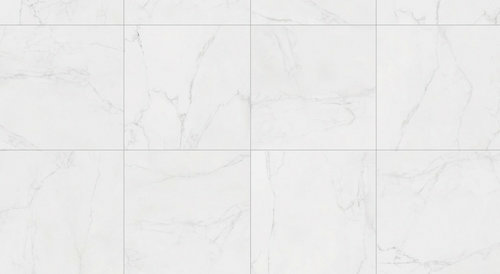 The biggest difference is that large-format porcelain requires extra steps to ensure that it is level. Ceramic tiles, which tend to be smaller, do not require these extra steps. For tiles 12 inches or smaller, the installation process is the same. A dry fit, or layout of the tiles, is done to blend color and check for fit. The tiles are cut to size. For ceramic tile, this may mean scoring and snapping the tiles for wall tiles or using a wet saw for floor tiles. Porcelain tile must always be cut using a wet saw, usually with a diamond blade. Mortar 1 is spread on the surface then keyed to the appropriate depth. The tiles are pressed into the mortar 1 and allowed to dry for 24 hours before being grouted 2. For tiles larger than 12 inches, the tiles must be back buttered, which means to have additional mortar 1 spread on the back. A piece of wood is spread over the tiles, then beaten with a rubber mallet to drive the tiles evenly into the mortar 1. This prevents lippage, meaning one corner sticking up higher than the others, and also helps prevent cracking from an uneven base in later years. Porcelain tile has a wide range of costs starting at around $2 a foot and going as high $30. Most homeowners, however, find that a 12-inch porcelain tile costs around $5 a foot on average for material, and a total of $9.50 a foot installed. So, a 200-square-foot installation will cost around $1,900. Larger or thicker tiles, uneven flooring, or removal of old flooring may impact the cost of the project, causing this total to go higher. Ceramic tile also has a variable cost range. A handmade wall tile will likely cost around $40 a square foot, while a machine-made wall tile will cost about $1 a foot. However, a 12-inch ceramic floor tile has an average cost of $5 a square foot and will also cost around $9.50 a foot installed, making the total for a 200-square-foot installation around $1,900. Durability of a tile depends on several factors. Ceramic wall tile is very fragile and should never be used on the floor, even in low-traffic areas. Ceramic floor tile, however, may achieve a commercial floor rating of 4 or 5 on the PEI scale, which means that it can handle high traffic. When using ceramic tiles, check with the manufacturer for their rating. This rating is a scale from 1 to 5, with 1 indicating a wall tile and 5 indicating high-traffic, commercial use. All porcelain tile rates a 5 on the use scale for flooring. Because there is no glaze, there is no crazing or chipping of the surface. The high feldspar content in the clay dust used to create the tiles, as well as the process they are formed under, renders them extremely hard and durable. They are unlikely to crack over time, unless improperly installed. Both ceramic and porcelain tiles are considered a fairly low maintenance material. The biggest concern for both is the grout 2, which may absorb stains or crack over time. Each tile also has some concerns related directly to its surface. Porcelain may be polished to a high sheen or may be very textured. Highly textured tiles can be difficult to mop or vacuum with a beater bar and may collect dirt. Sweeping the floor and using a scrub brush will get it cleanest. Ceramic tile has a glaze on its surface that makes it easy-to-clean. However, any ceramic glaze, even matte glazes, may eventually craze or develop numerous cracks in the surface. If the tile begins to craze, it will require regular sealing, otherwise stains could penetrate the glaze into the clay body below. If the tile is not crazed, it requires no special care. Both ceramic and porcelain tile are flame-retardant. Both were produced in extremely high temperatures and can withstand heat without issue. Neither will burn or ignite nor spread flames. Both ceramic and porcelain are fairly stain-resistant. Porcelain will always be stain-resistant, however, because the material is non-porous. Ceramic tile may stain if the glaze on its surface crazes or cracks over time or if you purchased a crazed wall tile. In this case, the tile must be sealed to prevent stains from occuring. In areas without a freeze-thaw cycle, porcelain tile may be used outdoors without issue. It may even be appropriate in areas with freeze-thaw cycles, but if the tile absorbs any moisture, it could be damaged in a frost heave or deep freeze. Ceramic tile should never be used outdoors, even in moderate or warm climates, as the material cannot handle the elements.